Gamasutra sat down with lead technical Artist Julian Love, and lead content designer Kevin Love from Blizzard to talk Diablo 3. Despite the game being shown at Blizzcon twice so far, as well as playable on the show floor of E3, PAX and other conventions - we may be over a year away from its release. Gamasutra wants to know why. And there it is folks. Quick - go start your own game development studio and use their formula while you can! But seriously, it's good to know that Blizzard does put so much time and effort into tweaking and updating their titles. One of the other things that's holding back some Blizzard titles, namely Starcraft 2, is an updated Battle.net. While Blizzard is promising that Diablo 3 will use the new service to it's fullest, that's not where their efforts are being focused. So there you have it. A tight, polished, cooperative experience for the PC when it's done. 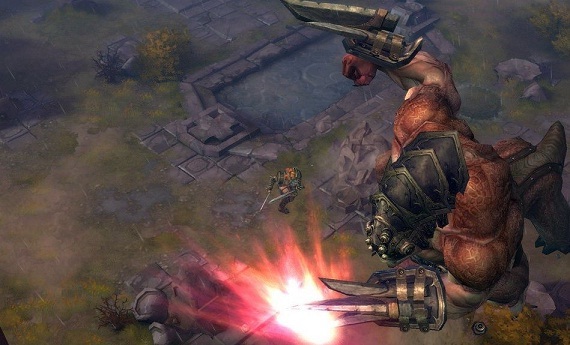 Diablo 3 - you can't get here soon enough.